Enjoy your buffet breakfast , Today you will visiting Bet Dwarka & Nageshwar temple. Bet Dwarka - Bet is situated at 30kms from Dwarka and is surrounded by sea from all sides. One can reach Bet from Dwarka through Okha by road. On reaching Okha port jetty, one can reach Bet through a little sea journey in a launch or in a small boat. 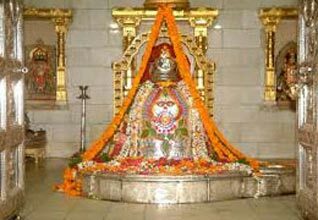 Nageshwar Temple or Nagnath Temple is located on the route between Gomati Dwarka and the Bait Dwarka Island on the coast of Saurashtra in Gujarat. 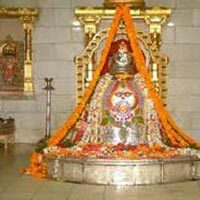 The Jyotirlinga enshrined in the Temple of Nagnath is known as Nageshwar Mahadev and attracts thousands of pilgrims all round the year. This powerful Jyotirlinga symbolizes protection from all poisons. It is said that those who pray to the NageshwarLinga become free of poison. The RudraSamhitasloka refers to Nageshwar with the phrase 'Daarukaavane Naagesham' Return to hotel at Dwarka for an overnight stay. Today in time transfer to Airport / Railway Station to board your flight / train for onward destination.